Analysts of Erste Group and RCB (Raiffeisen Centrobank) expect the Austrian fiber producer to record a substantial cut in operating profits. 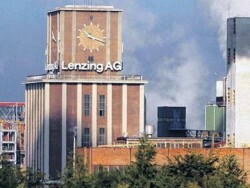 On Thursday, Lenzing will announce its results of the first quarter of 2012. Above all, the lower prices of textile fibers are a major burden on Lenzing´s earnings. Compared to the first quarter of 2011, revenues are expected to remain stable.